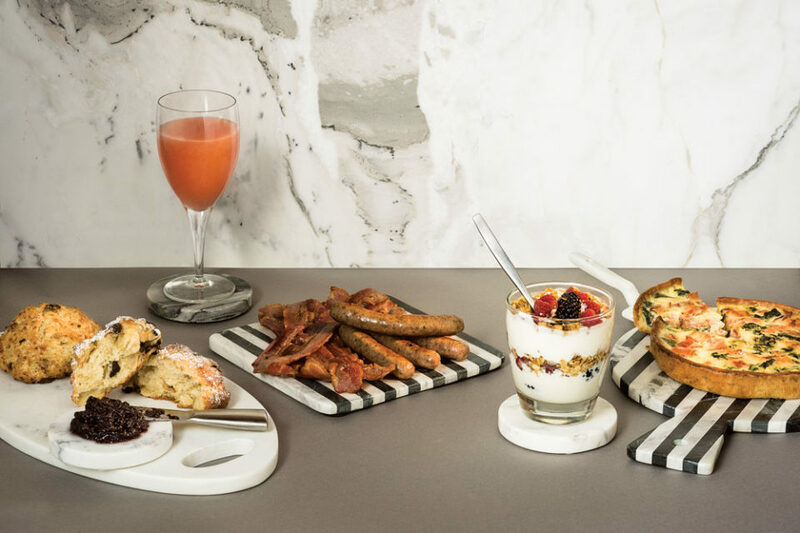 Whether you’re planning a cozy brunch for two or hosting a group of friends for an early get-together, pick up these goodies and avoid the pressures of the kitchen first thing in the morning. Every good brunch is built on a solid foundation of carbohydrates, and you can’t go wrong with scones. The ones made by Sidewalk Citizen founder Aviv Fried are legendary, so be sure to toss an assortment in a basket (butter and jam optional). Brunch should come with a citrus squeeze and Sunterra has a variety. Try the beet-and-orange for something different or stick to the classics – orange and grapefruit – straight-up or with a splash of prosecco. Pick up some house-cured, nitrate- and phosphate-free bacon or sausage from the vast display at Cured Delicatessen, because everyone likes bacon. For an Alberta-style parfait, take crunchy granola made with organic oats, flax and sunflower seeds from Highwood Crossing in High River, drizzle with maple syrup and Highwood’s cold-pressed canola oil, and layer with yogurt (regular or thick Greek-style) made with milk from the herd of Holsteins at Bles-Wold Dairy & Yogurt in Lacombe. The rich, thin, buttery quiche at Manuel Latruwe is just about the best vehicle for eggs, ham, veggies and cheese there is. You can pick them up whole, in two delicate sizes. Warmed up or served cold, they’re equally delicious.